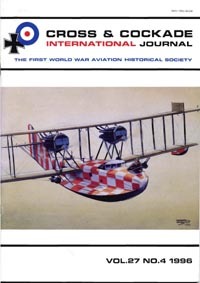 Cross & Cockade International (CCI) is the First World War Aviation Historical Society. We have over 1,000 members in 25+ countries all over the world. We are registered UK charity number 1117741. All trustees, officers of the society and contributors to the journal give their services voluntarily. 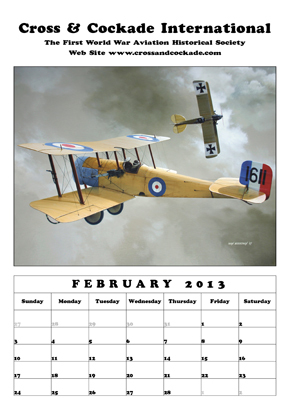 We research and publish information on all aspects of the First World War in the air, 1914 - 1918. 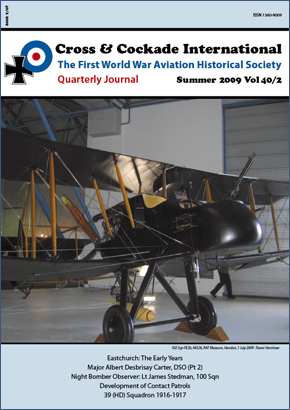 We are best known for our high quality journal, produced quarterly, which contains articles written by the members. Check out our constitution (revised 2015) in PDF format. Cross & Cockade GB was formed in 1970 as the British arm of Cross & Cockade in the USA, which was formed in 1960. We changed our name to Cross & Cockade International when the US society folded in 1986. On 31st January 2007 we became a registered charity. Have a look through the rest of the site, it should give you a good flavour of what we're about. Or drop us a line!